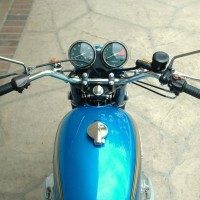 Restored 1975 Yamaha RD350 Motorcycle. 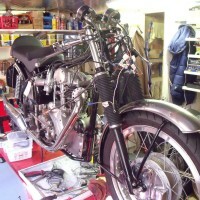 The engine was stripped and professionally rebuilt with many new parts. 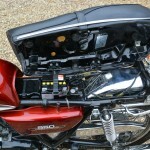 The petrol tank was sourced from the USA and is a new old stock item. The side panels were sprayed to match. 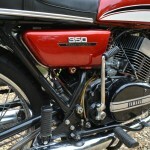 The rear mudguard is a also a new old stock item found in Singapore. 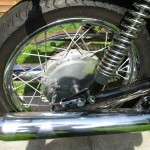 The wheels were re-built with new spokes and chromed wheel rims. 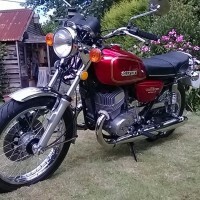 Newtronics electronic ignition was fitted. 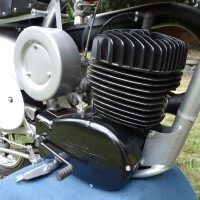 The carburettors were stripped, cleaned and rebuilt with new jets. 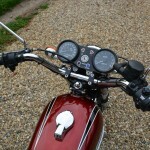 New switches were fitted to the handlebars. 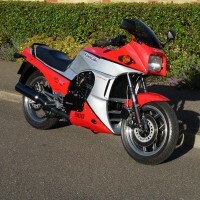 A lovely restored Yamaha RD350 Motorcycle. 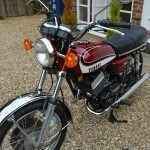 Yamaha RD350 – 1975 For Sale or Wanted? 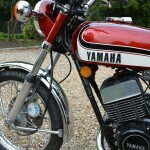 If you're looking for the perfect Yamaha RD350 – 1975 for sale then take a look at the hundreds of restored classic motorcycles listed on our extensive Motorcycles For Sale pages. 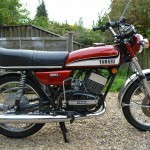 We regularly feature very nice restored Yamaha RD350 – 1975 bikes for sale. 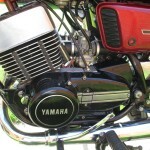 Spares and Parts for your Yamaha RD350 – 1975? 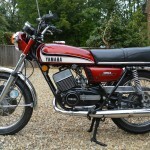 Workshop Manual for your Yamaha RD350 – 1975?